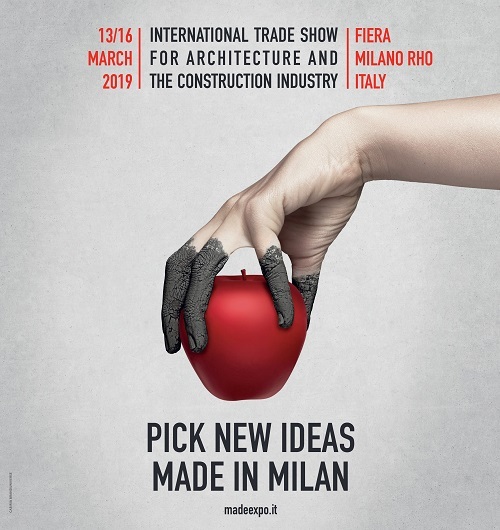 Made Expo, the leading trade event for the Italian Construction and Architecture sector will be held in Milan in March 2019. Here's a preview of what to expect. As in the rest of Europe, in 2018 the Italian construction market is showing signs of life with progress being made in new residential and commercial buildings. According to estimates from MADE expo based on ANCE data, the construction market will reach €122.6 billion in 2018 with the confirmation of an important boost from the renovation sector (38.1% of the market). 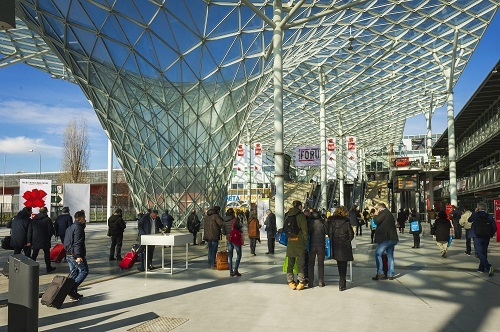 A particular case in point is Milan where the ninth edition of the event will be held from the 13th to the 16th of March 2019 at the Milano Rho Fiera. Recognized worldwide for design, the Lombardy capital is currently at the centre of strong real estate and construction activity, with 6 million square metres of new developments expected in the next 15 years, concentrated above all in the renovation of non-residential buildings and the reclamation of important urban spaces as well as flagship openings by retailers and serious players in the world of hospitality. This is where MADE expo comes in. The largest Italian event for the world of construction and architecture, this year it stands out in that it offers the opportunity to visit four specialized halls laid out in 8 pavilions plus an intense programme of technical and cultural training. The unique nature of the proposal which gives professional visitors and buyers the chance to find the worlds of design, construction and architecture in all their shapes and forms in one place, already saw more than 10,000 professional visitors just from abroad and more than 100,000 from Italy participate in the 2017 edition where they had the opportunity to get in touch with more than 1,000 exhibitors distributed in 8 pavilions and organized in 4 theme-based halls, These were MADE Construction and Materials, MADE Building, Envelope and Windows, MADE Interiors and Finishes and MADE Software, Technologies and Services. The exhibiting companies represent the state of the art in their relevant sectors of reference in terms of innovation and the quality of the solutions offered. The 2019 edition of MADE expo will be enhanced by a series of specific initiatives, with particular attention dedicated to the various sectors represented. On the building site and construction side, the focus will be on how traditional and innovative solutions can contribute to new buildings and urban renewal while guaranteeing safety, comfort and sustainability. At the centre of the dedicated exhibition there will be an overview of new construction models and regulatory and technological updates and emphasis will also be given to all materials with a specific focus such as the Wood Forum. There will also be other specific focuses such as those on anti-seismic measures and materials and the regeneration of infrastructures. Designers will be able to find sustainable high performance materials and innovative solutions for the construction and redevelopment of buildings. In terms of more specific aspects of design, architects will have the possibility for example to examine top quality solutions and materials from the world of finishes and outdoor surfaces. The watchwords for the claddings and windows and doors sectors will be innovation, comfort, safety and sustainability and this hall will also see specific focus on installation techniques. In-depth investigation into the various aspects of technological and digital evolution will be a transversal element that will benefit all professionals in the sector: from software to BIM for design and from tools for the construction site to the evolution of home automation. One of the outstanding features of MADE expo is the offer of a wide-ranging “support programme” of displays, events and conferences that go alongside and complement the exhibition element. The Build Smart event will be looking at issues related to design while Elle Decor Design Box, the exclusive display created in collaboration with Elle Decor and the studio Calvi & Brambilla will provide inspiration on materials and surfaces and the Archmarathon International Architecture competition will present the best projects from 30 international architecture design firms. The Windows and doors sector will see the presence of top quality components from the supply chain, from leaders in the machinery sector and from producers of components and finished products in wood, aluminium and PVC all while putting innovation, safety and comfort at the forefront. Thanks to its close connection with the city and a partnership with the Triennale di Milano, visitors to MADE will also have the opportunity to visit the XXII Triennale di Milano with a reduced-fare ticket and discover the event entitled Broken Nature curated by Paola Antonelli which will open in March. The Milano Rho Fiera site is easily reachable from Malpensa and Linate airports and is well served by high-speed trains, both underground and suburban lines. You can also find information and references on the MADE website to efficiently manage your visit and find accommodation and hospitality solutions. International visitors can follow all the latest news and developments relating to the event on the www.madeexpo.it/en site, where you can register to receive your ticket.